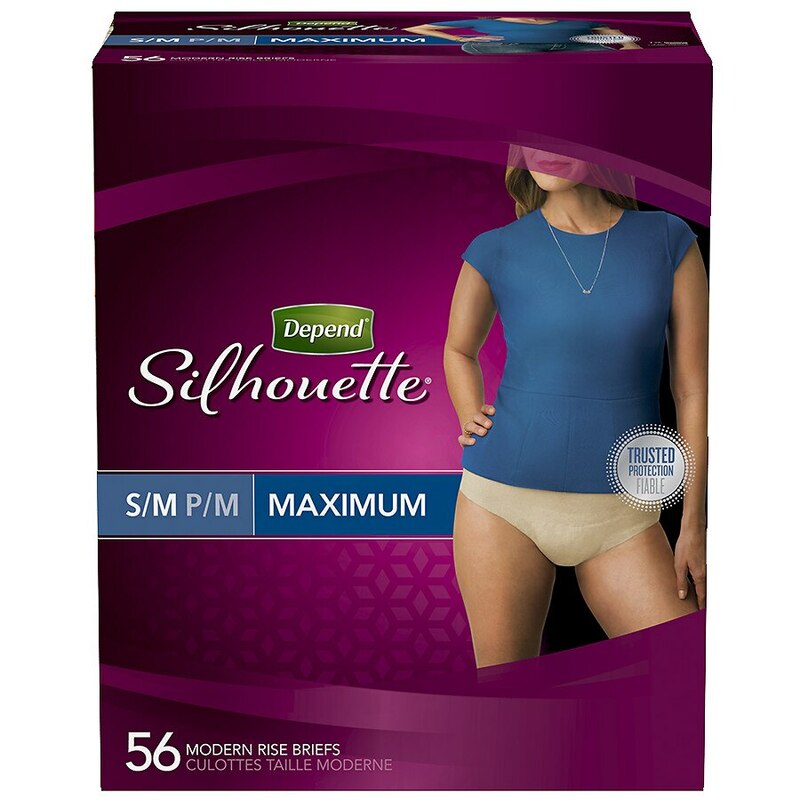 Depend Silhouette Incontinence Briefs take their cues from your lifestyle and your needs. The improved sleek fit and premium design are inspired by you, so you feel like you’re wearing real underwear, unlike bulky adult diapers. 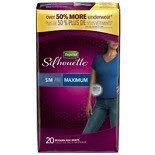 Depend incontinence briefs for women are more breathable with premium cotton-like, soft fabric for comfort and style. This feminine brief in a modern rise features a signature stretch material and waistband for a close-to-body fit and leg elastics to help prevent leaks. Depend disposable underwear for women has an exclusive range of colors that includes beige, black and purple, so your underwear can be as versatile as your closet. Silhouette is a maximum absorbency brief that provides trusted protection in a smooth, feminine design so you can own your greatness every day. Depend incontinence products are latex-free, lotion-free and fragrance-free. 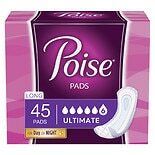 This package contains beige Depend Silhouette incontinence underwear for women in size small/medium, which fits a 28–40-inch waist. Explore this page for additional product benefits. Step in/slip off. Printed tag indicates the back. Dispose of in trash can. Do not flush.